What did we learn from the US Grand Prix? Well, the first thing we learned was that you had to be a real enthusiast to sit up till midnight to see that start! We also learned that the first corner still claims the unwary drivers, with four not going any further. Goodnight Gianmaria Bruni (Minardi), Giorgio Pantano (Jordan), Felipe Massa (Sauber) and Christian Klien (Jaguar). You do not WIN the race at the first corner, you only LOSE the race at the first corner. 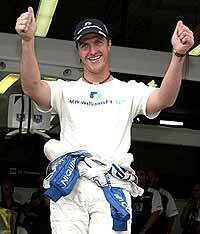 A couple of heavy crashes in the event, with Ralf Schumacher looking as if he were momentarily stunned. He had to be worked on by the FIV Medical Team in the car, while the rest were streaming past. This is not the best situation and I personally feel the race should have been red-flagged and stopped at that point. Driver retrieval is more important than anything else at that time. You can always restart the race after the driver is extricated and the debris removed. While I think about it, the local Star Sports feed has the worst commentator I have ever had the misfortune to listen to, but to hear him joking about the fact that Ralf Schumacher was having a brain scan, and we would then see if he had any, was quite untimely in front of a world wide audience. At that stage we did not know if he was seriously hurt or otherwise. Star Sports, get rid of him, and the silly woman who is presenting the pre-race programme, who knows as much about Formula 1 as my cat. We also learned that the stewards at a race meeting are chaps that spend the time with their noses in the rulebooks, rather than having a look at what is going on. 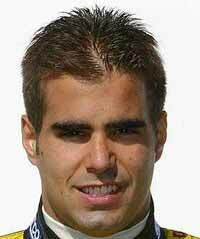 To black flag Montoya after 90 minutes of racing (illegally) is quite pathetic. Apparently he did not get into the spare car quickly enough (the figure of 15 seconds is being bandied about), so he started illegally, according to the rulebook. They then made up their minds to call in a race driver who had already had to start from pit lane behind everyone and had got himself up to 4th. Good racing, good spectacle, just what the fans come to see, and then they bring him in after an hour and a half. Pathetic! On the good side, Takuma Sato drove well and deserved his place on the podium. Amazing to see just how much better BAR have done since the highly expensive Jacques Villeneuve was dispensed with. The other good news was Minardi getting a point, with Zsolt (pronounced Djolt) Baumgertner scraping home in 8th. With the team now getting into the points score this means they are eligible for TV rights moneys, worth millions. There is also much guff about our Zsolt being the first Hungarian to score points and now his name is in the halls of fame etc., etc. Our Zsolt was just dead set lucky. The attrition rate was such that less than half the field finished. And these are the best cars and the best drivers in the world? I think not. The Honda Jazz has been a real hit all over the world, having obviously struck a chord (sorry about the pun, but I couldn’t help myself) with motorists everywhere. Like most manufacturers, Honda has decided to make some mid-cycle changes, just to keep the interest up. However, the changes to this very popular model are few and mainly cosmetic. The ‘new’ model is expected to be released at the Sydney Motor Show in October, and the following report came from the Australian GoAuto people. Known in Japan as the Fit, the five-door hatchback is expected locally around October, in time for the Sydney Motor Show debut. The changes, which are mainly cosmetic, are the first since the Jazz’s Australian release in October 2002. It will take a keen eye to spot the new grille, headlight cluster, front and rear bumpers and front air-intake design. Two variations of the latter exist - one with a more aggressive crosshatched mesh-style opening that’s expected to feature on the sportier VTi-S version. Redesigned tail-lights, Mercedes-style wing mirror indicators and new colours complete the exterior body titivations, while the hubcaps and alloy wheels have also been restyled. Mimicking the lively hues found on the Mazda 2, Honda has gone for pastels. Alongside the current red, black, silver and white, they include a champagne brown, pistachio green, electric blue, bronze, charcoal and off-white. Inside there are materials and trim alterations, a new steering wheel and a revised dashboard with improved storage capabilities and more sophisticated heater and audio controls. In the 1.5 seven-speed CVT automatic, the current car’s toggle switch-style steering wheel-mounted shift controls give way to F1-style paddle shifts similar to those found in Ferraris. Some upscale models also sport a fully automatic climate control set-up and a large monitor for GPS satellite navigation or television reception. Mirroring Toyota’s super-successful Prius II, Honda now also offers a card entry system in place of a conventional key. There are no changes to 1.5-litre VTEC engine outputs, which continue to be 81kW of power at 5800rpm and 143Nm of torque at 4800rpm. According to Honda Motor in Japan, the 1.5 engine Jazz (there is a 1.3 in Japan and Australia), achieves 4.88L/100km (previously 5.2). The 1.5 five-speed manual gearbox will continue though, along with the seven-speed CVT. On the safety front side airbags are now available, along with the addition of EBD Electronic Brake Force Distribution, aiding the standard ABS Anti-lock Brake System. Year-to-date figures for Australian Jazz sales are 811 for the 1.3 versus 2282 for the larger 1.5-litre variants. The Jazz has been a huge critical and commercial success for Honda. Launched at the 2001 Tokyo Motor Show, it has been one of the company’s consistent bestsellers. Poor old Mitsubishi Motors is in more strife than Flash Gordon right now. Having produced a ‘corporate’ front that nobody finds attractive and then plastering that all over their range of models certainly slowed sales. However, the withdrawal of financial support from DaimlerChrysler, followed by the news of defect cover-ups has certainly put the company into a tail spin. In Japan, DaimlerChrysler appointees have been given the DCM (Don’t Come Monday), with Olivier Boulay (a designer almost as unpopular as BMW’s Chris Bangle), product planner Kai-Uwe Seidenfuss, procurement guy Stefan Buchner and Hans-Jurgen Storch from R&D out the door at the end of the month. It would not surprise me to see Mitsubishi Motors taken over by another firm and moved out of autos all together. Gasohol. Gas or just hot air? The Thai Gasohol monster has been let out of its cage again, with the global scare on increasing crude oil costs spurring on the government to come up with energy saving proposals. Most of these are ranging from the unworkable through to the ludicrous, but one that ‘can’ work is the Gasohol fuel. However, it isn’t all that simple. Gasohol is 90 percent un-leaded petrol and 10 percent ethanol. The theory is that this will keep transportation costs down and reverse the current slowing down of our GDP increase, which now seems to be the Holy Grail. This ignores the fact that ethanol is not an easily renewable energy source, and it takes gasoline to harvest the crops that in turn produce ethanol. It also ignores the fact that gasohol is around 3-5 percent less fuel efficient, vis-à-vis petrol, so you use more fuel to travel the same distance. Gasohol also has a tendency to ‘eat’ fuel lines, so expect increases in vehicle maintenance costs. The fact that gasohol comes from Thai companies PTT and Bangchak, has nothing to do with it, I am sure! Has anyone seen a shareholders list? Last week I wrote that VW have a luxury vehicle called the Phaeton, and I asked where did the name Phaeton come from? The answer was that came from the coach builders of the mid-1800s and described a four wheel carriage with a folding top! So to this week. After being with a racing Porsche again (Matthew Marsh’s A-Ha Racing GT3 at Bira), let’s have a Porsche question. The 917s were legendary vehicles, with some engines producing more than 1,500 BHP and performance figures such as 0-100 kph in 2.1 seconds, 0-160 kays in 3.9 seconds and 0-340 kays in 13 seconds in 1972. Some early 917s were designated as 917 PA. The question this week is what did the letters PA stand for? (The following was sent to me, but I enjoyed it, so I thought you might too!) There are a lot of folks who can’t understand how there came to be an oil shortage over in America. Well, there’s a very simple answer. Nobody bothered to check the oil. They just didn’t know that the levels were getting low. The reason for this is purely geographical. All of their oil is in the Mexican gulf, Alaska, Texas, California, and Oklahoma. But all their dipsticks are in Washington, DC.! While Michael Schumacher has won almost every race so far, the points scoring system is such that he cannot get away quite so easily, as the large differential in points between 1st and 2nd has been abolished. At this stage in the year, it is certainly NOT a foregone conclusion. This could still be David Coulthard’s year, provided Michael Schumacher and Rubens Barichello do not finish another race and David wins the next nine on the trot. The next GP is the French on the 4th July at Magny Cours. Back to the European time zone means that we will be able to watch at sensible hours.